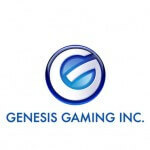 Genesis Gaming is one of the best software developers for online slots out there! The company has published an impressive amount of slots, which are well-known for their music and sound effects. This is because they put in a lot of effort in choosing the music for their slots, and is one of the main reasons why people want to play their games. This software developer still regularly publishes new games, and with that, their assortment keeps on expanding. Quite a few of their games have made the news, and it is very likely that more and more casino will offer their games. Genesis Gaming consists of a team of experts who, in most cases, come from the real casino world and have made the switch to online casinos. The experience they have taken away from real casinos becomes very apparent when looking at their games. Namely, their slots have a very old-fashioned look. However, their slots do all have many interesting features, making their games very enjoyable. Every slot has at least one extra feature. Possible features are free spins and bonus games. On other slots, like Cool as Ice, you, as a player, constantly encounter new extras, making it very dynamic. Genesis Gaming’s slots are certainly to be reckoned with, as at least some of their slots are top-notch. 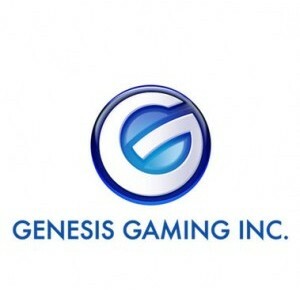 Genesis Gaming realizes that it should not only focus on developing slots. Namely, there already are very many slots on the market. If they were to focus on slots, they would have to work very hard to claim their position. That is why this developer also chooses to focus on so-called “social games”. This kind of games allow for interaction between players while playing, or enable players to keep track of each others’ progress. Chances are we have only seen the start of Genesis Gaming, and way more can be expected to come.